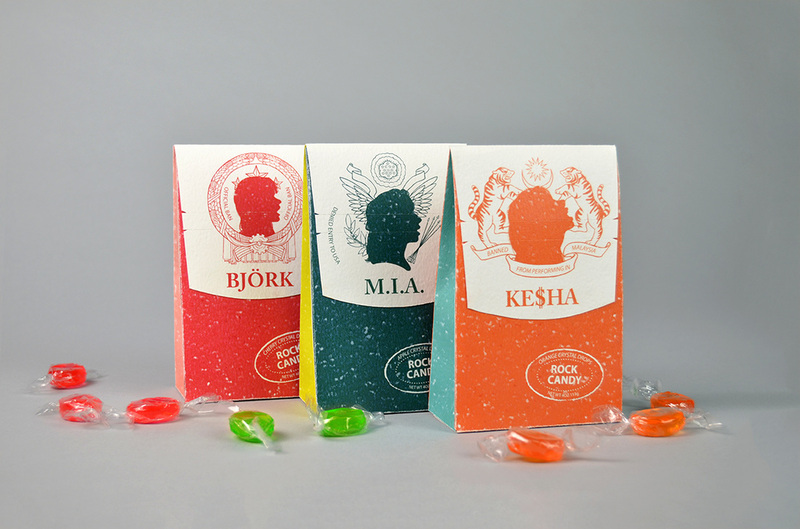 Rock Candy is a line of hard candies themed after musicians who have been banned or otherwise prevented from performing in various countries. On the front of the packages, silhouettes of the artists overlap the national seals of the countries they have been banned from, a nod to their transgressions. 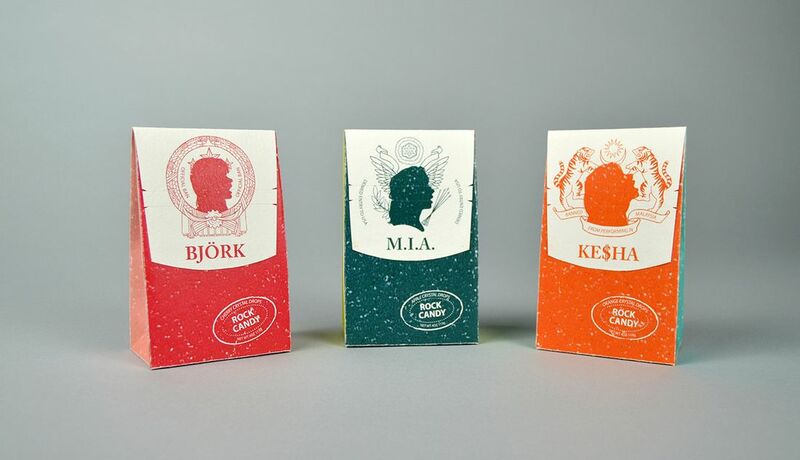 The Rock Candy/flavor lockup emulates the stamp of a passport, and is placed loosely on the bottom of each package as though each were stamped individually. Bjork was banned from China, M.I.A. from the US, and Ke$ha from Malaysia. 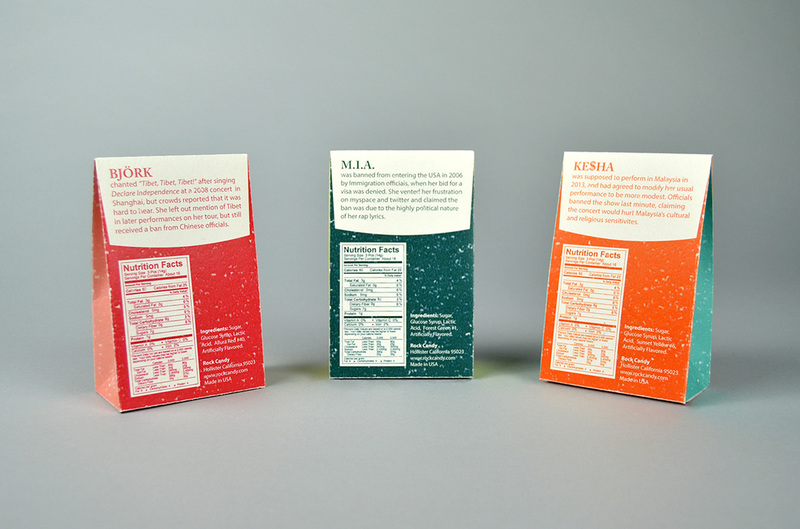 The back of each package elaborates on the stories leading up to the ban. 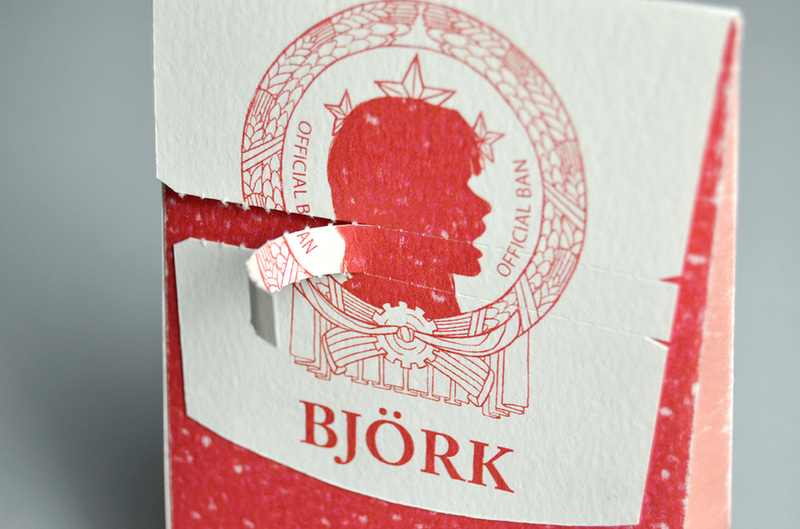 A perforated tear strip cuts through the main graphic, allowing the consumer to take part in the rebellion of the artists.